One of the most common things you will hear when speaking to members of this hobby is, “I was denied by Barclay’s.” It used to be that Barclay’s was quite generous with their credit card products. Back in the good old days of 2012 you could have quite a few of their cards and even get multiples in one day. Unfortunately since then Barclay’s has tightened significantly. Today Loyalty Lobby is reporting about language on Dividend Miles statements which suggests the program will merge with AAdvantage in April. This also means the end of the Barclay’s US Airways Mastercard. (View from the Wing speculates the end date may be it should be available until April 12, 2015.) With that in mind, I thought I would share everything I have learned about getting approved for Barclay’s cards to help people formulate their strategies. One of my favorite overall cards. Before I begin, I want to say that what I am sharing are strategies that have worked for many people including myself. These aren’t rules that are set in stone, however I have talked to enough people and read enough data points to be willing to share them publicly. For every person who has three or more Barclay’s cards, there are dozens who have denials. Everyone’s situation is different and your success depends on a variety of factors. This is general information only and reflects my own personal opinion and experiences. Never go for a third card – Success with Barclay’s is all about instant approvals. The Barclaycard reconsideration reps are known to be tough. I haven’t heard of very many people getting instant approval on a third card. If you have two cards, close one down before applying – Since you never want to apply for a third card, it is best to close your second card before applying. This frees up credit which increases your chance of an instant approval. Make sure to use existing Barclay’s card(s) regularly – Barclay’s looks to make sure you have actually been using their cards before deciding to issue you more credit. If your existing Barclay’s card is sitting in a drawer, it may be a good idea to pull it out and use it for awhile before applying. Wait 6 months between applications – People who apply more often generally do not get instant approvals. Additionally, Barclay’s has been known to tell people that they want to see spending patterns on new cards before approving additional ones. Six months has been a very successful waiting period for myself and others. Getting a second of the same product can be dicey – Barclay’s doesn’t officially allow cardholders to have two of the same product. With that said, their systems don’t block it if you get an instant approval. If you aren’t instantly approved, it is highly unlikely a human will approve your application for a duplicate product. Do not call reconsideration unless denied – If your application goes into pending status, do not call reconsideration right away. People seem to get approved much more often by letting the application work its way through the system. Barclay’s reconsideration reps are very very tough. If you get denied, call reconsideration, but don’t expect much help – Very few people have had success with Barclay’s reconsideration lately, especially if they have opened new accounts with other banks. It doesn’t hurt to call, but do know that each rep notes their conversation with you, so hanging up and calling back generally doesn’t work. This great offer appears to be going away soon! Day 365ish – Close 1st card when annual fee comes do. Day 545ish Close 2nd Barclay’s card when annual fee comes do. Day 550-560 Apply for 4th Barclay’s card. Of course instant approvals are not guaranteed and depend on a variety of factors, however many people I know have had success following a very similar time table. Also, if you like one of Barclay’s cards, you may want to consider keeping it long term! Barclay’s used to be an easier bank to get approved with when they were new to the market, however they really have tightened up over the past few years. With that said, it is possible to take advantage of some of their better card offers, but unfortunately going overboard will generally cause you trouble getting approved. Do you have any strategies that have worked with Barclay’s that I didn’t mention? Please let me know in the comments! Talk about right time…thanks for posting this, I have been stressed out thinking about how to get 2nd card since this morning….. I have this card since Jan 2014 last year, applied for second card in Aug 2014 and Nov 2014, both denied. When called recon line, rep said I already have the card so cannot approve me for same products. Then on Jan 2015 my first card annual fee was due and I called to cancel but rep waived the fee so I decided to keep it. What is my chance of getting approved for 2nd card if I apply again now? btw I did put my US Airways account # in the application though, maybe that’s why they could recognize me to have the same card already and denied my application? If I try not to put my US Airways account # in the application this time, will it matter and if so, how do I add the account # later after get approved? This is my last shot to get the 2nd card…..appreciate your help. You can e-mail me or answer here. Your chance of approval has to do with whether you get instant approval or not. That depends on a number of factors. With a few rare exceptions, it is Barclays policy that you cannot have more than one of the same product. If you don’t get instant approval then you will most likely be denied again. Thanks. But how did some people can get 3rd card of same products like below? My guess is they haven’t been approved recently. Barclay’s has been pretty consistent with denying people applying for duplicate cards as of late. As I mentioned in the article, the system doesn’t block duplicate cards, so the key is to get an instant approval. If a human looks at it, they will generally deny the application as has been reported by numerous people. The system I laid out works well for me as I always get an instant approval. As I disclaimed, what I wrote is based on what works for me and others I know. There are people who have slipped through, but it simply isn’t happening for most. There are a lot of people who apply over and over and get denied. Strictly speaking I’m not suggesting the end date will be April 12 exactly, just that it’ll be available until at least April 12 (I would not be at all surprised if the application was available several days after that). I have three Barclays cards and my wife has three also. We both got instant approved for the first two but third one were both hold. I called the reconsideration one hour after my third one was hold, the rep asked me why I wanted to apply the third. I replied to her that there is a US airway 60K promotion and I like the us miles. She said ok but I needed to move I credit line around since my credit line is over 30K. I agreed and I got my third one, So as my wife’s. When did you get the third card? Thanks for sharing your experience. Thanks for sharing that data point. I have 2 U.S. Air cards, 1 Miles & More, 1 Arrival +, so does my wife, recently declined the 3 US Air Card request, Tough Card, no Credit Check was pulled, just a nice letter of decline. Credit Line in excess of 100k, same on wifes account. We do not have business accounts, and plan on keeping the cards. They did waive the renewal on US Air. Thanks Bill! Would you mind sharing how long you have had the cards as a data point? I canceled arrival+ two weeks ago and my last Barclay application was over a year ago. When do you think is the best time to apply arrival+ again? I was instantly approved for a card about a month after canceling the previous card. I would have applied sooner, however the timing wasn’t right with other apps. i have had 3 Barclays cards for quite some time (1 – 1.5 years) and did not have to go to reconsideration for the third. What’s the latest on doing a 2BM double browser application. With. Barclays, I have no Barclays cards nor have I ever applied for them. Ideally I’d get 2 US Air cards, but I’d be happy with one and an Arrival +. Does it make sense to even try and risk not getting the aqua Air card? Any tips for increasing chances of success? Did you put your us airways membership number on your second and third application for us airways card? Anything you pit it differently than the first application so the system will auto approve you? The Miles & More is a year old, the 50,000 offer. I called they knew how many card I had, even from other banks., He told me to ready for another card in 6 month and said I should have no trouble. I currently have no Barclay cc. Should I apply another Barclay US airway card now, or wait until 04/08/15? I have applied for other cards on 1/7/15. When I apply for the Barclay US airway card, should I apply for the Barclay Arrival card on the same day or wait a few months? While this is not professional advice (please see the disclaimer at the bottom) if it were me I would wait until late March/ early April to apply and I haven’t heard of anyone getting approved of two Barclay’s cards in the same day for awhile, so I wouldn’t try to Arrival Plus at the same time. Shawn, when you say three cards, do cards such as FannieMay or B&N cards count since they are also issued by Barclays? i have applied online to Barclays for the MasterCard rewards card and I got denied, so I called the reconsideration number the next day and I got approved for 1000 dollars, but they asked me how much credit usage I will use, they were a little tough on me, so I tell them I didn’t miss a payment and the got soft, it’s worth a shot, good luck. I recently applied for a Barclay arrival plus and Capitol one Adventure cards. I waited for twelve days for a response from Capitol One and finally called them. They said that due to some fraud alert they needed more information which they requested by mail and a phone call. I received neither one. So I then told them to cancel rhetoric application and I applied to Barclay. I called them to see what was going on after a few days and they also mentioned additional information required due to fraud security. They wanted me to mail copies of my driver’side license and my social security card. I told them I would not put a copy of my SS# in the mail so they refused my application. I then went back to Capitol One and asked them to go ahead and process my application and they said because I cancelled an application, I had to wait 6 months to reapply. 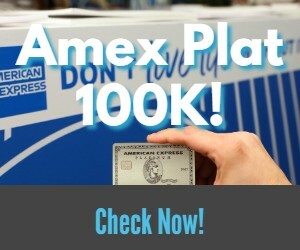 I have Amex, Chase, US Bank etc cards that were approved instantly. The purpose of applying is because we plan to do extensive traveling in the near future. FYI, my credit report says I have “excellent credit” Zander my FICA score is 819. I have never been late on anypayments and pay my cards off in full automatically each month.